Taliah Waajid has been changing the haircare game for over 25 years as she revolutionizes stigmas on beauty with her line Natural Hair in addition to founding the World Natural Hair Show. 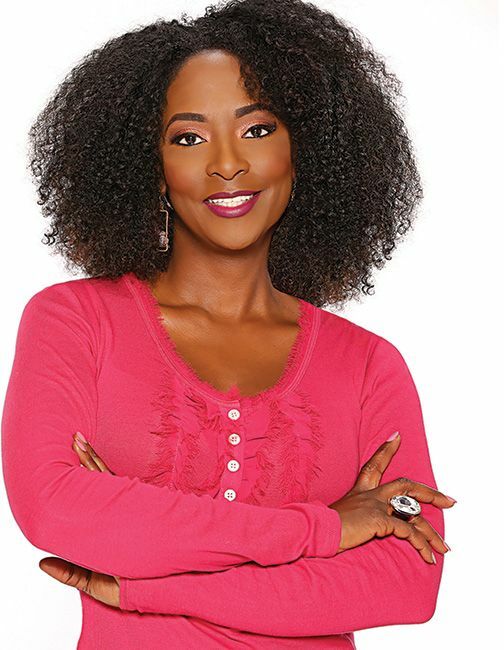 Her journey to natural hair care began at the age of 14 when she started her first natural hair care business and in 1988 opening her first natural hair care salon in Harlem, New York. As a beauty industry veteran, she prides herself on adapting to change and representing a brand that reflects her culture. This beauty Titan shares some of her best tips for protective styles on-the-go and when traveling with some of her favorite products. Now when you’re on vacation, maintaining a protective style requires the right product, patience, and time. Waajid shares her recommended night time routine for braids and weave, “For braids, at night, simply apply Protective Styles Healthy Hair Under ThereTM Bamboo, Avocado, and Peppermint Conditioning & Restoring Serum to nourish your hair underneath your braids, then tie down your braids before bedtime. For a textured weave style, also use Healthy Hair Under ThereTM on your hair underneath your weave style. To maintain the weave curl pattern, apply Protective Styles Gro Hair GroTM Bamboo and Coconut Milk Growth Oil to sections of the weave and place sections in twists. Tie your hair up for bedtime and untwist and go in the morning." 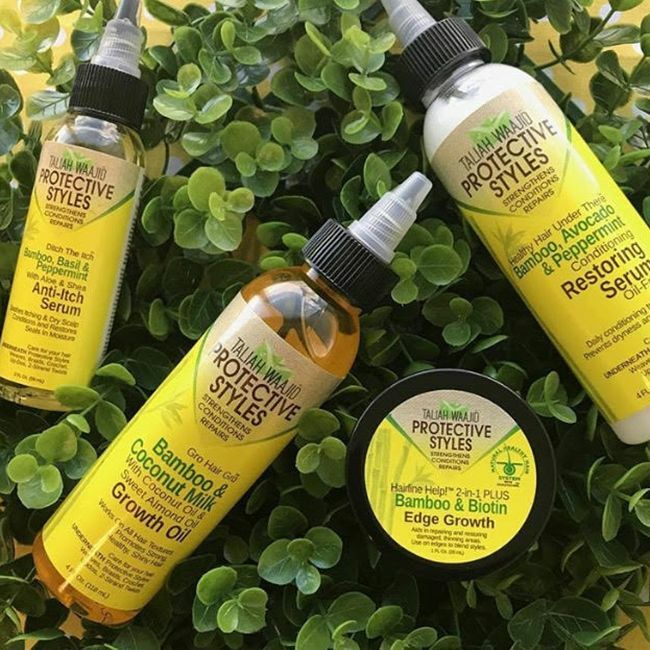 Once you are ready to take down your hair it's essential to "Trim your hair after it is taken out of a protective style and repeat the cleansing and oil treatment process," says Waajid. Protective hairstyles are so unique, versatile and fun! When wearing these styles, you have to make sure you care for your hair and scalp to maintain a healthy hair regimen. Be sure your scalps are clean, your ends stay hydrated, conditioned and moisturized! The more you care for your protective style, the longer it will last. Do you have a protective style this Summer? Share what products you're using below.